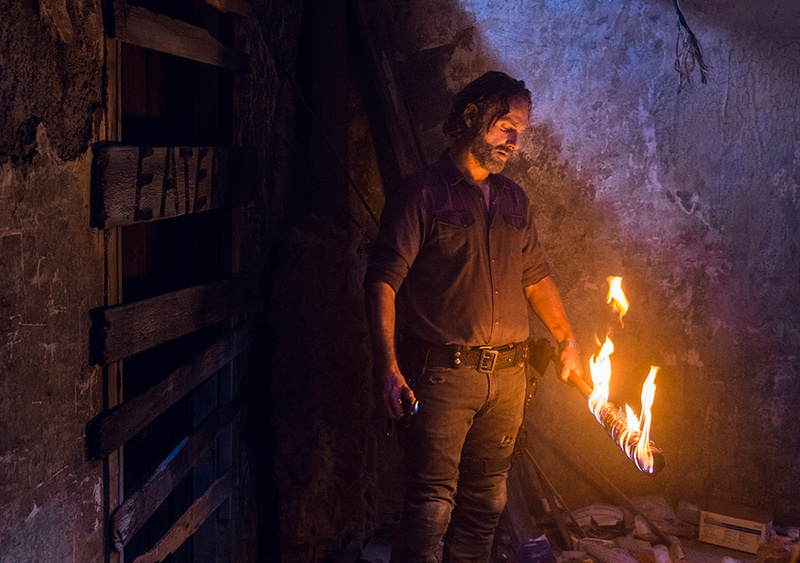 "The Key", which is the latest episode of AMC's The Walking Dead continues to erode Negan's aura of invincibility, as he can't even keep Rick's hands off his precious Lucille as he lurches from one insane and pathetic deal to the next. Simon's had enough, and leads the rest of the Saviors off to war against the Hilltop. Meanwhile, Maggie makes a deal for The Key to the Future for a milk crate full of phonographic records, and Enid openly wonders if anything means anything anymore. You and me both, Enid. You and me both.